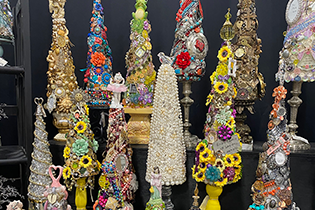 Funky Finds hosts handmade and vintage markets each March and November at Will Rogers Memorial Center in Fort Worth, Texas. 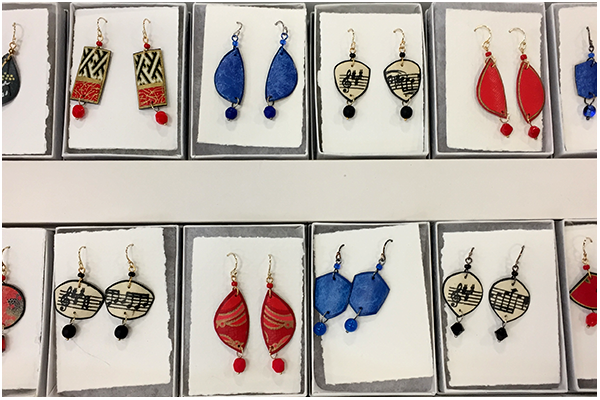 Established in 2006, Funky Finds has remained dedicated to promoting the lifestyle of Shop Small, Shop Local by showcasing independent artists, crafters, designers, authors, food makers and pickers. 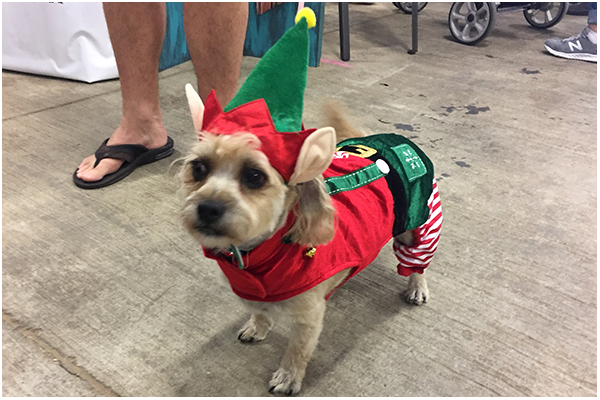 Shop Local, Shop Handmade, Shop Funky at this family and pet-friendly annual market. Two buildings filled with the funkiest mix of area makers and pickers, swag bags, charitable raffle, live music, and fundraising benefiting the Humane Society of North Texas and CASA of Tarrant County, and more! 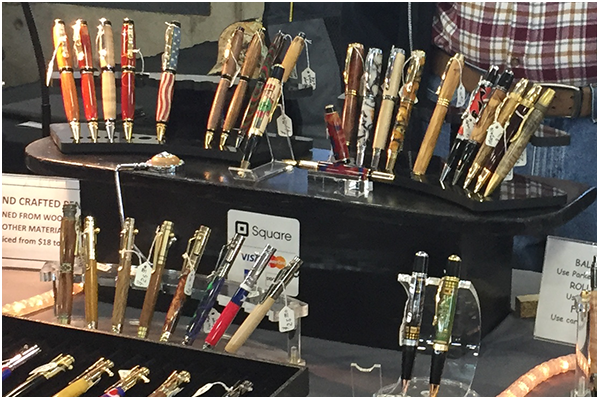 Shop local this holiday season with the area's top makers and pickers selling unique handmade, repurposed, upcycled and vintage finds. Items ranging from Accessories to Food to Pet Goods and everything in between! 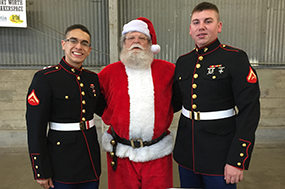 Free Admission, Family AND Pet Friendly, Fundraising benefits the Humane Society of North Texas and DFW Toys for Tots, and more! Funky Finds Vendor Information - Please Read Thoroughly! 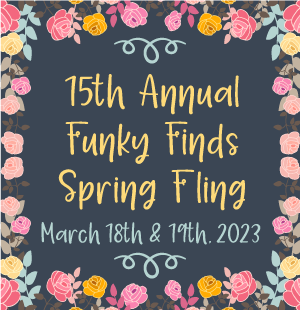 Stay up to date on all Funky Finds happenings! 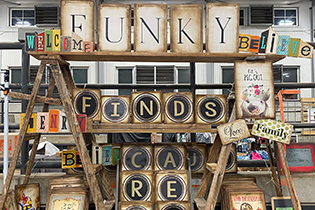 Funky Finds News is full of information for independent artists, crafters, designers, authors, food makers, and vintage / antique dealers, as well as those who shop local. 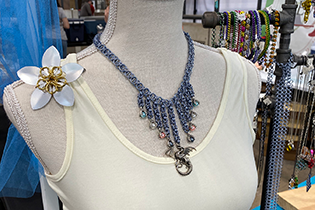 The goal of Funky Finds is to help business owners make a living doing what they are most passionate about while enhancing their local community. 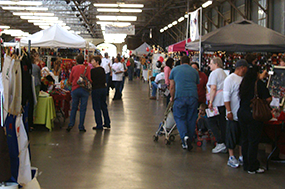 Funky Finds has been hosting shopping events in Fort Worth, Texas since 2009. 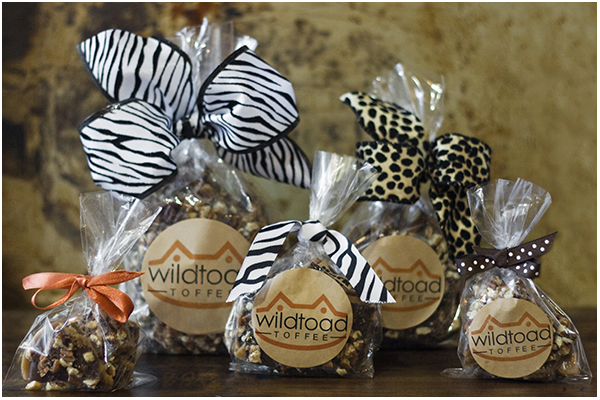 In addition to promoting small businesses, Funky Finds believes in giving back to the community. Each event features a charitable raffle and limited edition event tees that are sold to raise money for charity. The first 150 people to purchase 10+ raffle tickets receive a swag bag filled with products, coupons & more! 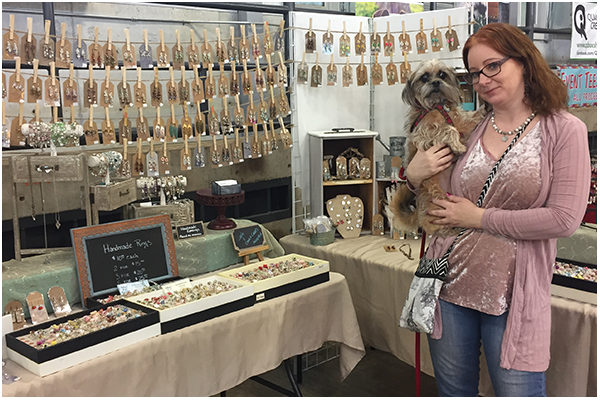 To date, Funky Finds has raised tens of thousands of dollars for the Humane Society of North Texas, DFW Toys for Tots, and CASA of Tarrant County, and hundred's of animals have found a forever home at Funky Finds events! Since 2006, Funky Finds has remained dedicated to promoting small businesses, supporting our local economy, and giving back to the community. 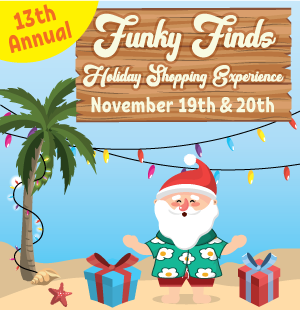 Funky Finds events celebrate the #ShopSmall #ShopLocal lifestyle many have chosen to support. 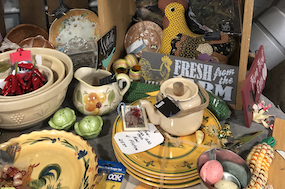 Funky Finds has expanded to two buildings featuring handmade, repurposed, upcycled and vintage finds. Our large, well-established customer base will have the opportunity to shop the best in handmade goods PLUS the best in vintage wares!!! Don't hesitate to contact Funky Finds today! 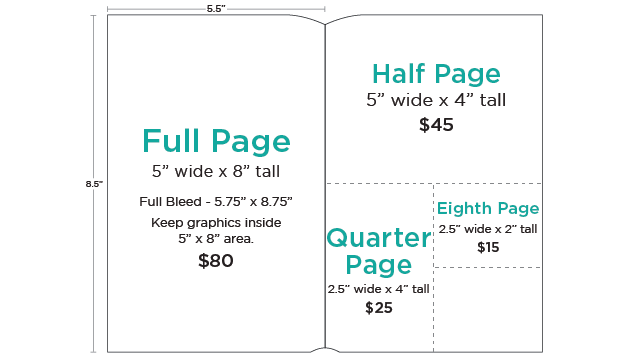 We welcome correspondence of all kinds, including feedback and questions. Cattle 1 Bldg. and Exhibits Bldg.